If your home has been yours for several years, it’s no doubt you’ve had to do a bit of upgrading here and there. One area of the home or office that you’ll need to upgrade are the locks. Even if your locks look good, the new technologies regarding locks and the new procedures that a locksmith uses, so it’s wise to know why and when to have your locks upgraded. locks get used every day multiple times. If you have a large family or office staff, even if you have electronic locks with a keycard, you’ll have after a while worn the mechanisms of the locks down. It may not appear so from just looking and that’s why you’ll need to have a locksmith stop by at least once a year to give your locks the once over. If the locksmith finds that your locks need repair or upgrading, it’s wise to follow their advice. It might take a second opinion but it’s always better to be safe than sorry. The locksmith will look over the devices and test them. They’ll know what parts to repair or replace and might offer a total upgrade to some of the newer locks that are on the market. 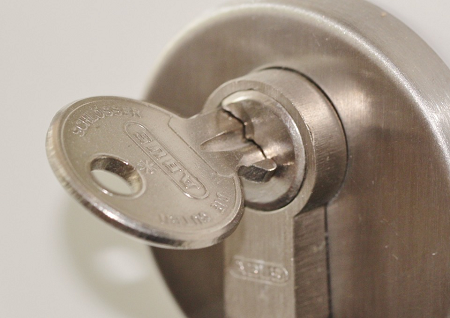 If the locksmith recommends a new lock, then you’ll have some options to choose from. Traditional locks can easily be installed. They’ve got their pluses and minuses regarding security so you’ll have to evaluate what suits you best. There are new locks that require voice recognition and remote operation. You can turn them on and off from even your smartphone via wifi. These new locks are sturdy and strong and also have their pluses and minuses. The plus side is they’re tough to crack without making a ton of noise. The downside risk is that if someone gets your password they can gain total access to your home or office. Such events are rare but there have been cases of such. Older folks might not trust the new locks as they tend to forget passwords and procedures. All they know is a lock needs a key and that’s that. Getting them to use voice or an app might cause them confusion and anxiety. It’s up to you to evaluate what your household and office staff can handle. If you feel it’s time to get your locks upgraded, then there’s no other company that can do the job as well as Florida Lock Doctor. They know the mechanics of locks and their locksmiths are certified and trained professionals. They’ll do an inspection and make a recommendation. They’ve got a line of products and services that are very affordable and their customer service is now legend. They’ll sit down with you and explain any lock solutions and procedures and get the job of replacing your locks with the security and professionalism that your hard-earned dollar deserves. Florida Lock Doctor is the solution for you lock needs.